In Design 101 this week, we talked about hanging and framing art. When framing an artwork, consider how the frame can enhance the piece. You don't necessarily have to stick with a typical frame - sometimes frames themselves can be the art! Below are some of our favorite out-of-the-box framing ideas. 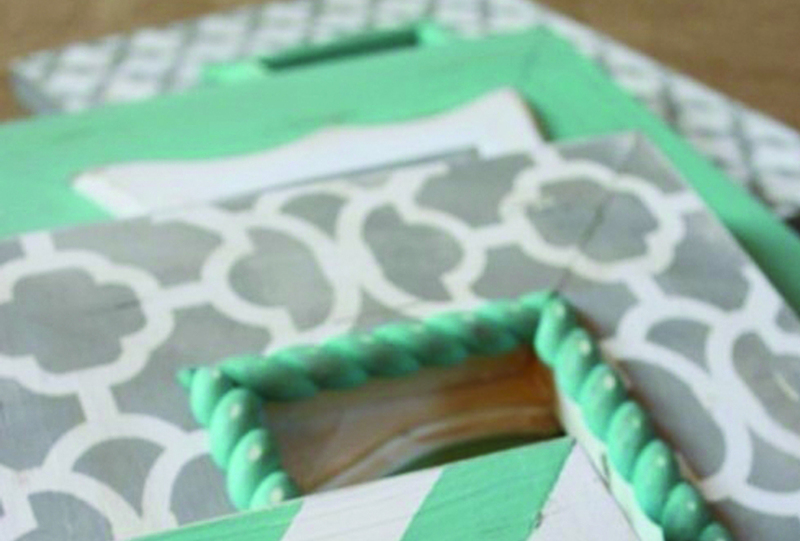 Patterned Frames: Paint frames in fun geometric patterns using stencils and painters tape. Layered Framing: Add significance to a simple piece of art by layering it with a fancy frame. Frames as Art: Missing art? Turn frames into art by dramatically painting them to match the walls. Kid's Frames: The Gold Jelly Bean offers a tutorial on teaching kid's to frame their own artwork. A Touch of Glamour: The Little Green Notebook gives step-by-step instructions for turning blah frames into wow.